Free Shipping on On $125 Orders. This pair is perfect for scooping up piles after you sweep the kitchen or porch. 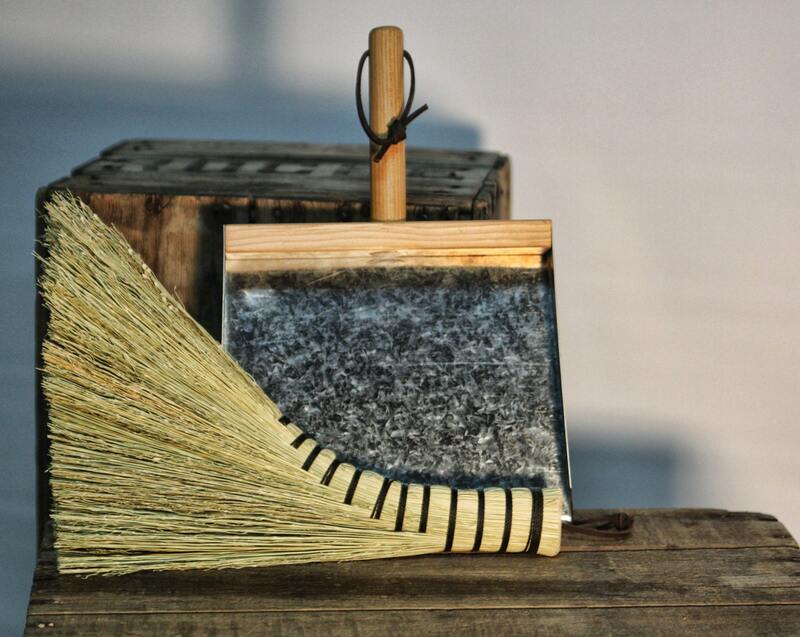 The turkey wing whisk is a traditional hand broom, used by Ben Franklin. 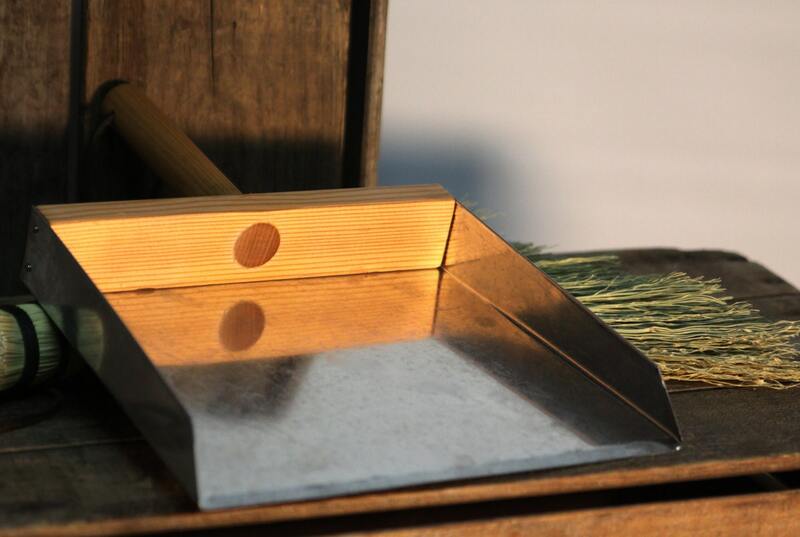 Our dustpans are made from clear Douglas Fir, and hand bent galvanized metal pans. 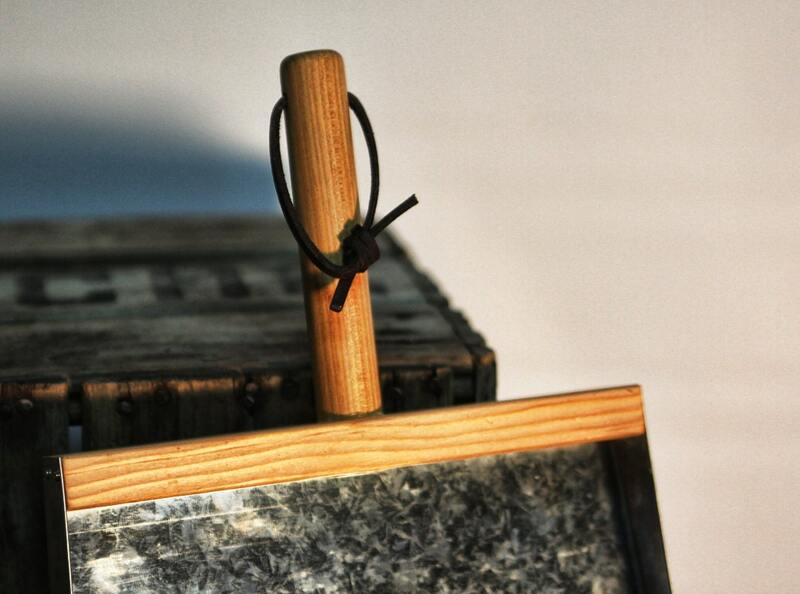 Sturdy and durable, the way dustpans and whisks were in the past. Turkey wing whisks are approximately 12 1/2" long. The dustpans are 10" across the beveled front and about 8" deep. Each comes with a leather hang loop, for hanging on the wall. Nicely made and shipped quickly! I am so impressed with this dustpan and whisk. Love the graceful turkey wing design. Sturdy, well made, highly functional, and will look beautiful hanging by the fireplace. A great gift. Wonderful as always! My friend Loved it! Thank you! I absolutely love this pair together! Great for table and counter crumbs and other things. Dust pan is awesome anywhere. I keep one hanging near my wood stove, and one in the kitchen.